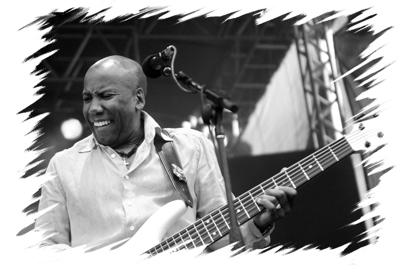 Nathan East is one of the world’s premiere session musicians. He’s perhaps best known as Eric Clapton’s favorite bass player, but that’s also Nathan on Michael Jackson’s “Bad” and Daft Punk’s recent Grammy winning album. Of course he’s a founding member of the highly successful jazz group Fourplay. Some of his other credits include: Anita Baker, Herbie Hancock, Babyface, B.B. King, George Harrison, Elton John, Stevie Wonder, Savage Garden, Sting, Quincy Jones, Al Jarreau, Kenny Loggins, and The Manhattan Transfer.